There are likely to be plenty of Android device enthusiasts adding the Google Nexus 7 2 tablet to their holiday wish lists. If you’re in the UK another retailer has now added the new Nexus 7 2013 to its lineup, as it is now for sale at Three UK. It should be noted though that Three UK is only selling the WiFi-only version of the Nexus 7 2 and not the LTE version, at least for now. The carrier is also selling the Nexus 7 bundled with a MIFi. The new Nexus 7 is now available at Three retail stores across the UK. It may surprise some customers that Three UK isn’t offering the LTE variety of the Nexus 7 2013, but it appears that in the UK O2 still has exclusivity for this, apart from on the Google Play Store of course. 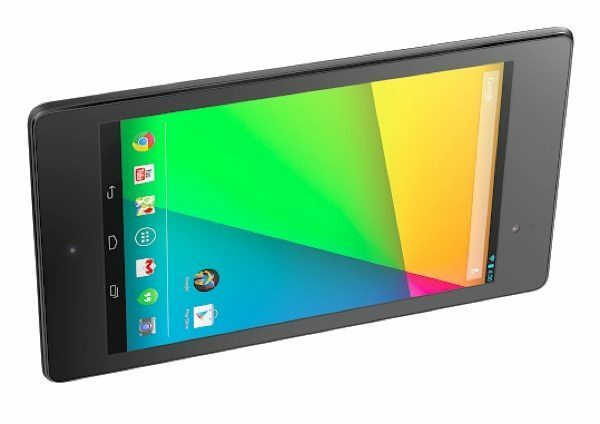 The Nexus 7 2 16GB WiFi-only tablet is available from Three UK priced at Â£199.99. Alternatively Three is offering the tablet bundled with a pocket-sized Huawei E5220 MiFi, a portable mobile hotspot. This is available for a one-off price of Â£29.99 with a one-month rolling contract costing Â£15.99 per month for 5GB of data. Customers can also buy the Huawei E5220 MiFi for Â£49.99 on PAYG with 1GB of data pre-loaded. Are you hoping to get your hands on the Nexus 7 2 soon? What is it about the Nexus 7 2013 that makes this the right tablet for you? Let us have your comments.